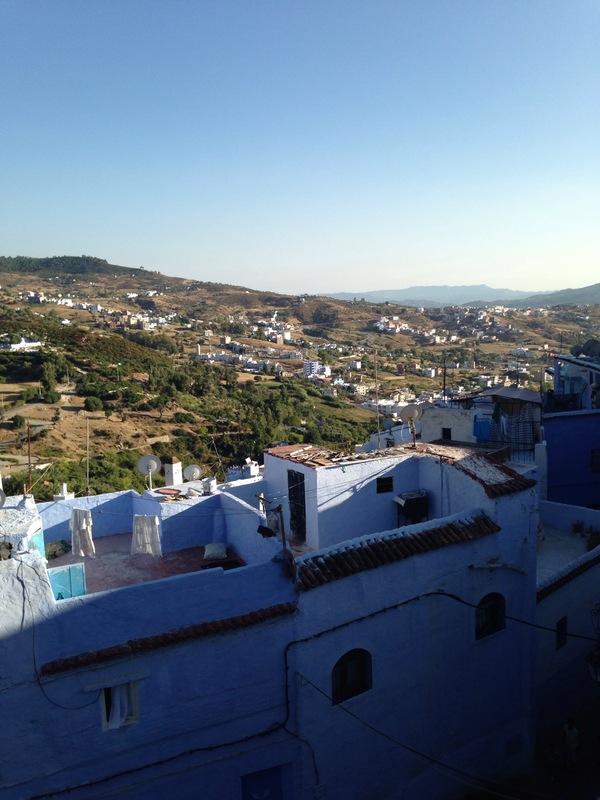 Below are pictures from our time in the northern Moroccan city of Chefchaouen. 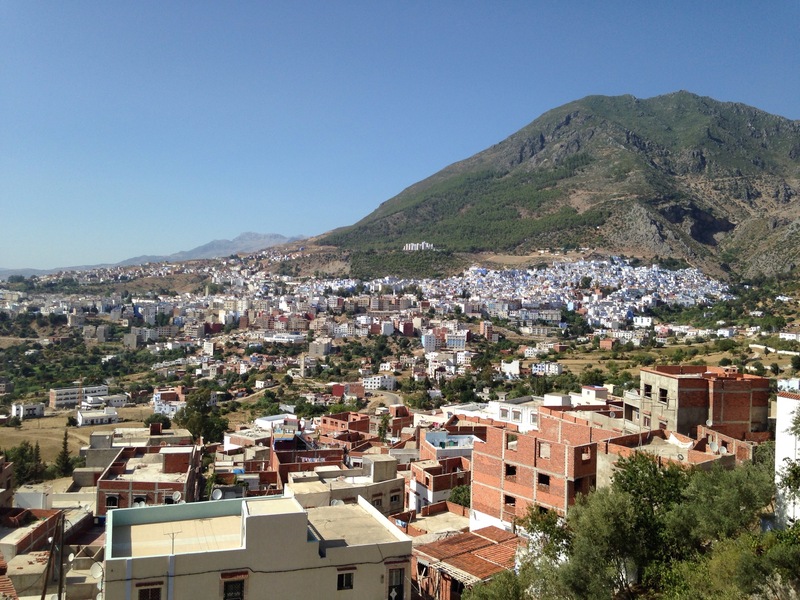 The city is nestled in Atlas Mountains and is blue! 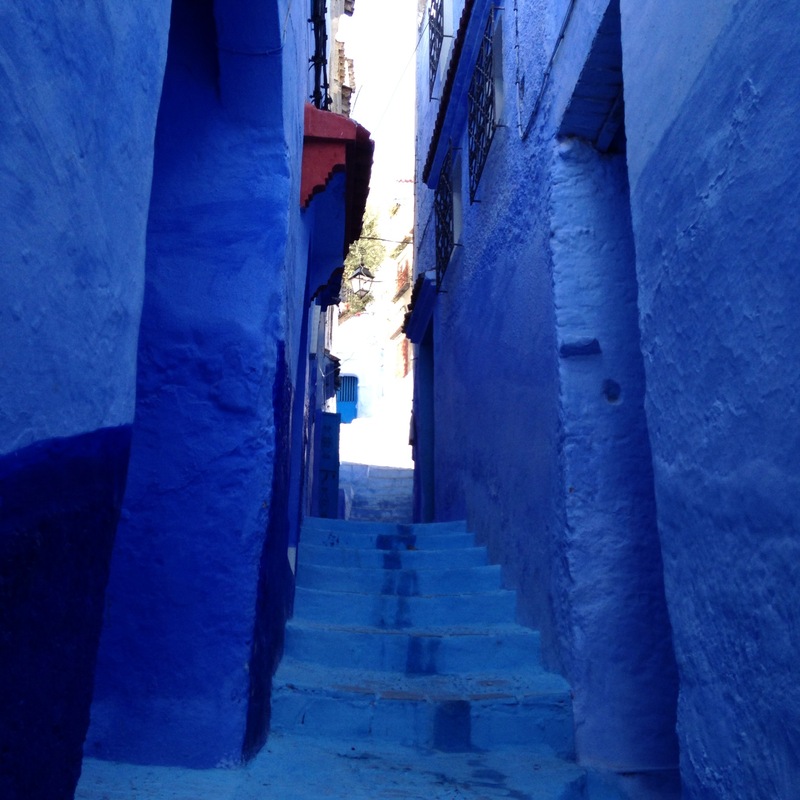 All the walls, roads, and homes in the central medina are painted a pale, serene blue. It was magical and a great place to rest and reflect. 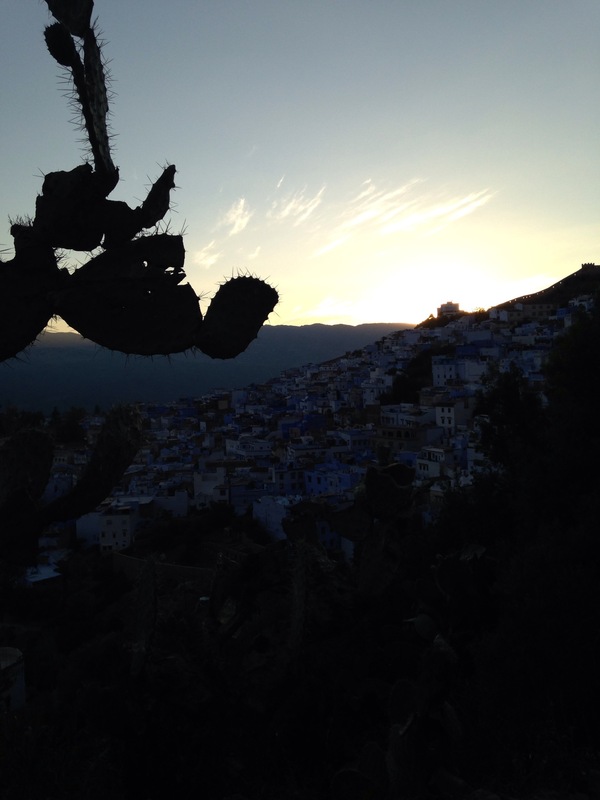 Jon and I spend our three days strolling the streets, climbing up the mountain to overlook the city, and sipping mint tea in the kasbah while making plans for the future. 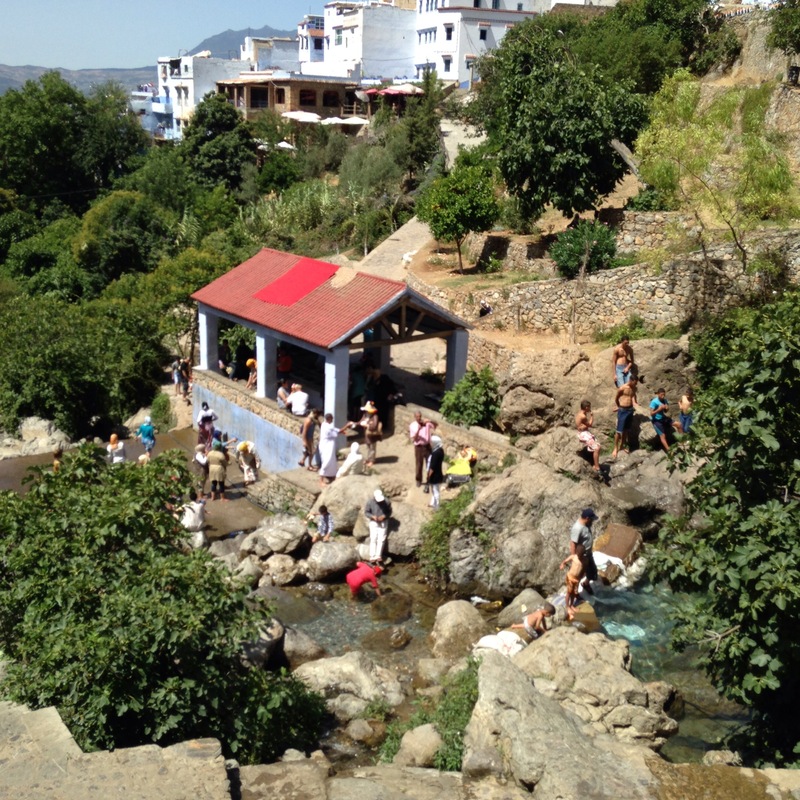 We had a flight to Paris out of Rabat on August 7th and the only bus available from Chefchaouen was the “local” bus, verses the government regulated bus. It was cheap so we bought our tickets and arrived at the station around noon on the 6th. Upon arriving at the bus station we knew we had made the wrong decision. It was around 95 degree and we were drenched in sweat just entering the bus, which we soon learned did not have AC and only two open windows total; it was miserable! 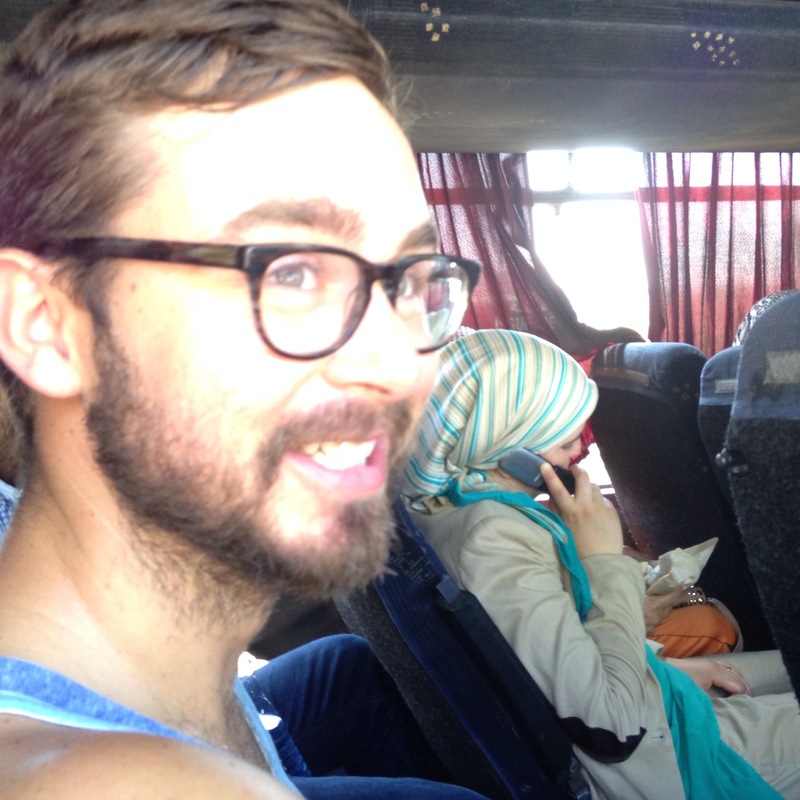 The bus kept stopping and picking up more passengers in the already crowded space for an even hotter 7 hour ride to Rabat. Jon and I tried to keep each other’s spirits up with little success. To add to the mood, both passengers by the only open windows were annoyed by the wind and kept trying to close them. Jon and I would leap out of our seats and plead with them saying, “No no no, shokran!” in hope of keeping what little air flowing in the death chamber bus as we could. This same scenario repeated itself multiple times throughout the 7 hour ride. You really do get what you pay for in life. 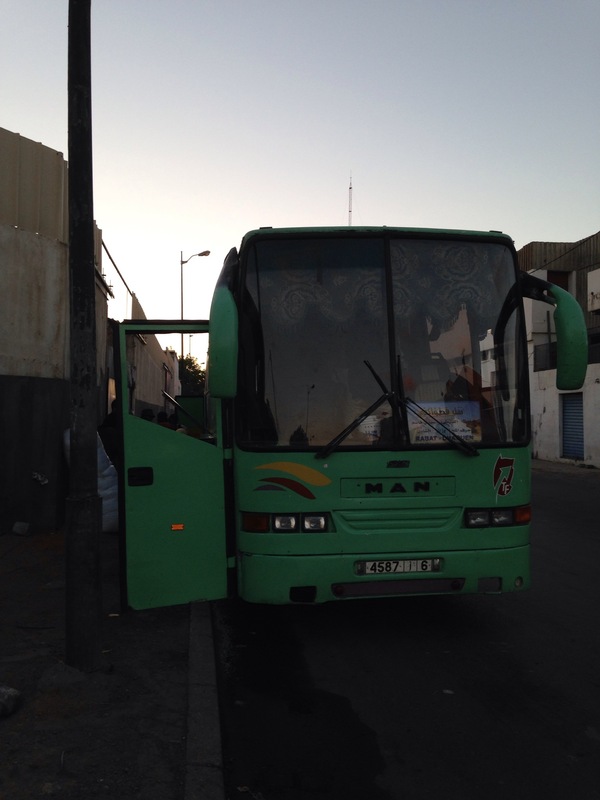 If you are ever traveling in Morocco by bus use the government CTM bus service, NOT the private local ones. I’m actually surprised we are alive, I’ve never been more happy to be out of a bus in my life than when it pulled into the Rabat bus station at dusk. 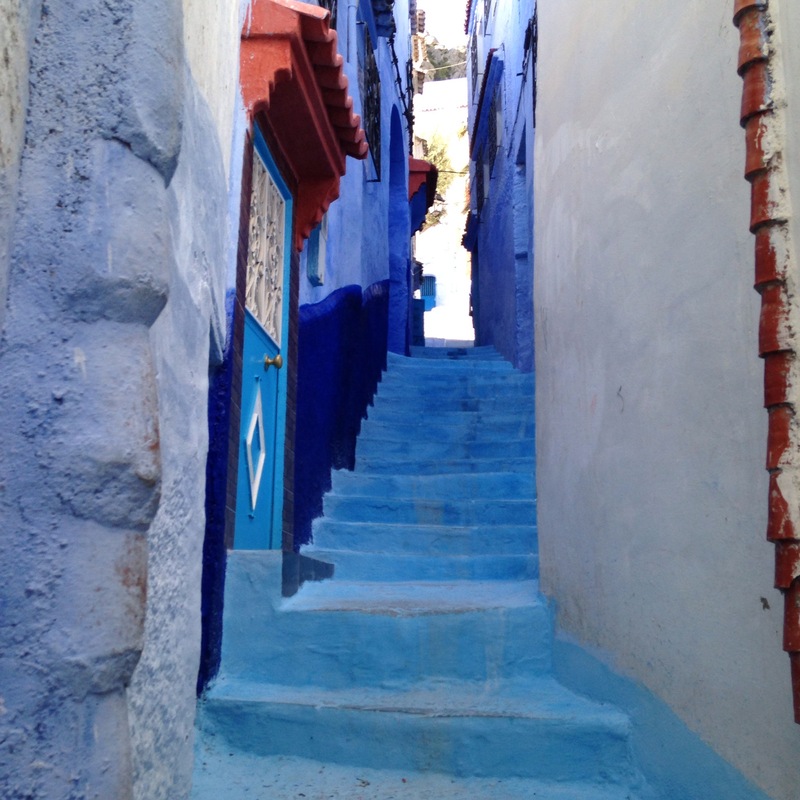 Posted in MoroccoTagged chefchauen busBookmark the permalink.